Dash enables your team to holisticly implement administrative policies. Our Policy Center operates similar to a Turbotax for compliance policies. Answer plain English questions about your organization and your technology to generate HIPAA administrative policies. 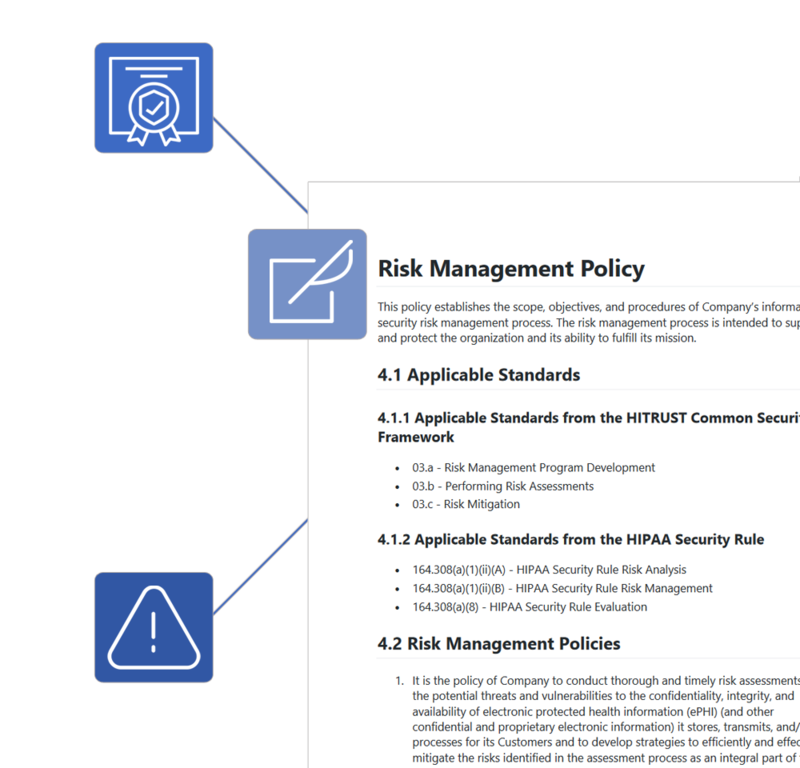 As you answer compliance questions and create policies, Dash sets automatic controls and shares administrative compliance issues through the Dash Compliance Center. Dash automatically versions and keeps a record of changes to your administrative policies. For reoccurring tasks and administrative todos, Dash provides email reminders and a administrative workflows. 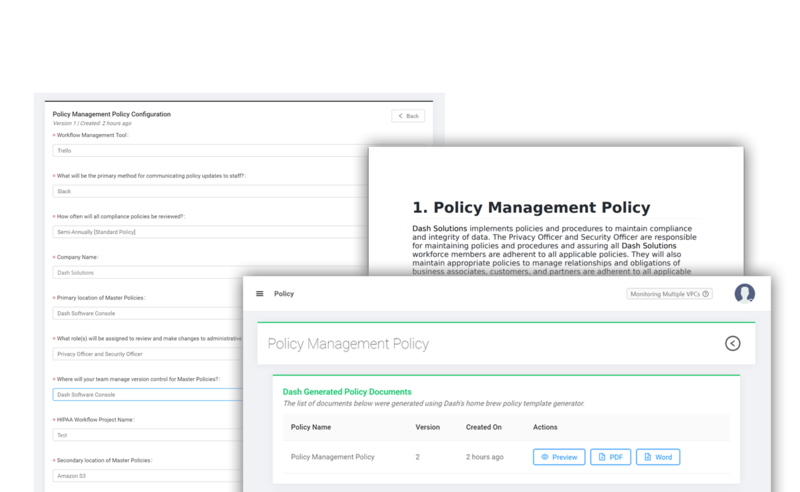 Administrative policy decisions in the Policy Center are connected and monitored in the Dash Compliance Center, so your team receives reminders for administrative tasks and notifications for compliance issues. Ready To Unlock HIPAA In The Cloud?